In Croatia the Ministry of Science and Technology is the major provider of funds for high education. There are four universities, each consisting of a number of relatively independent and dislocated faculties and academies. In 1997, the Ministry engaged the authors to computerize the system for subsidized nourishment of the university students. The initial plan was to establish a simple credit card system. 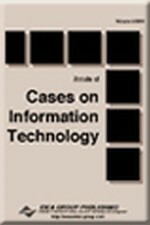 Faced with political and technical infrastructure difficulties, the authors had to develop a heterogeneous distributed database scheme and develop proprietary replication mechanism, capable to exchange high volumes of data over a slow network or over dial-up networking. The system has achieved full functionality at the largest university in Croatia, and it is ready to be installed in the rest of the country. Although developed under tight budget, it has significantly improved the organization and it provides valuable data for conducting the policy of subsidized nourishment.